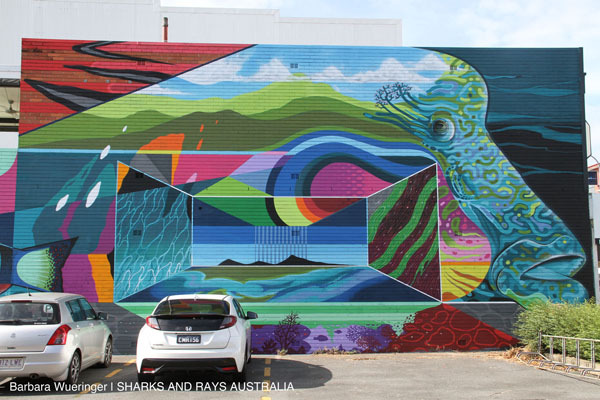 When I heard that Pangea Seed Foundation was considering to use Cairns as the canvas for their first Australian Sea Walls event, I was really excited. 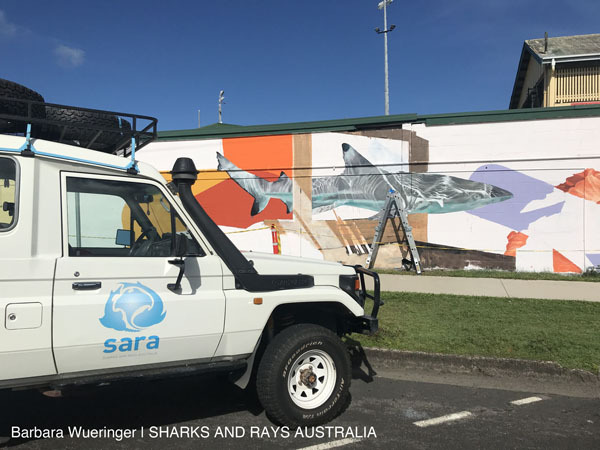 The foundation had been doing amazing work over many years, and after meeting Akira Biondo at a conference on sharks and rays in Berlin, Germany in 2012, I was one of their keen followers. 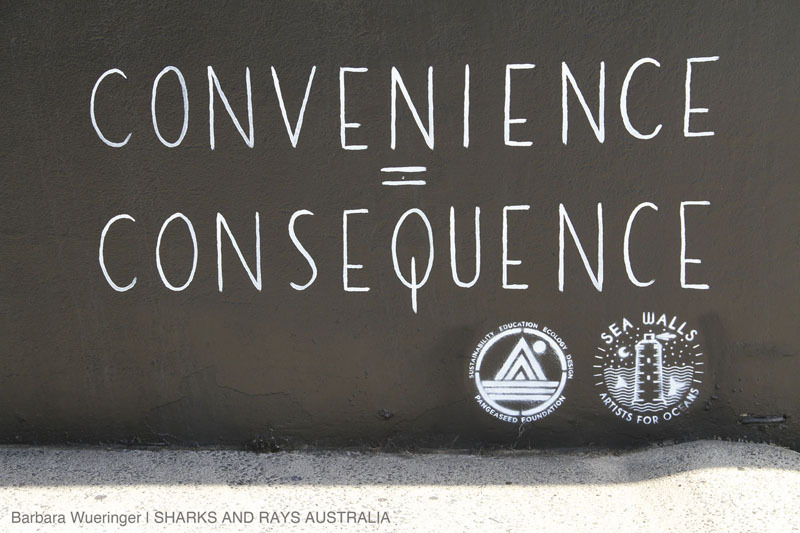 Pangea Seed is the brainchild of Tre Packard and his wife Akira, and funds raised through are used to inspire marine conservation in children. 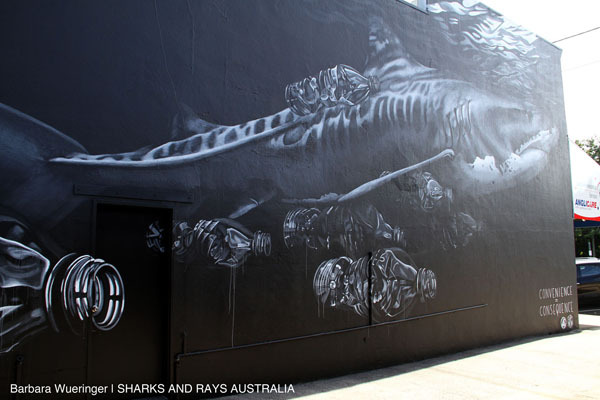 One of the big topics the foundation took on was to teach children about shark finning. 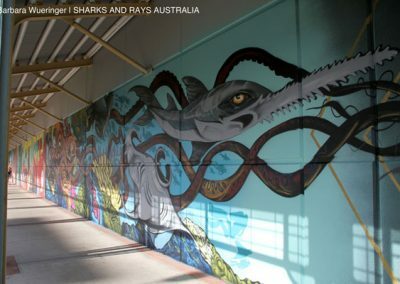 Their work in schools is inspiring, but also is the artwork. 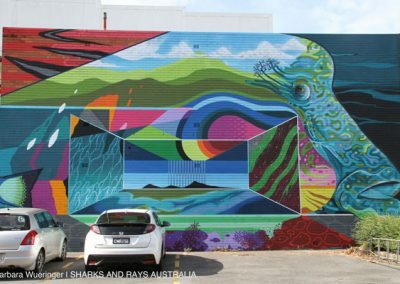 The event in Cairns brought together 20 mural artists, both internationally acclaimed as well as locally famous. 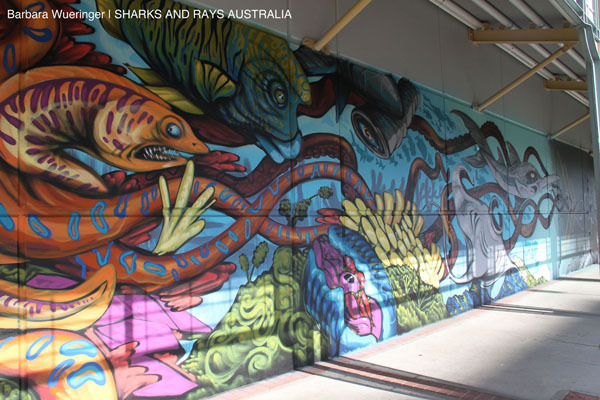 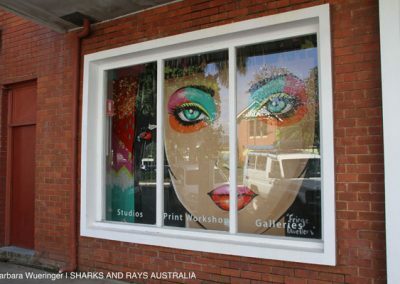 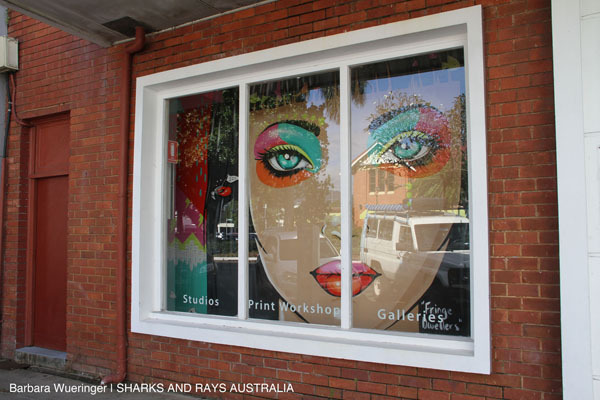 Various events were organised to inspire their murals, and this is where Sharks And Rays Australia got involved. 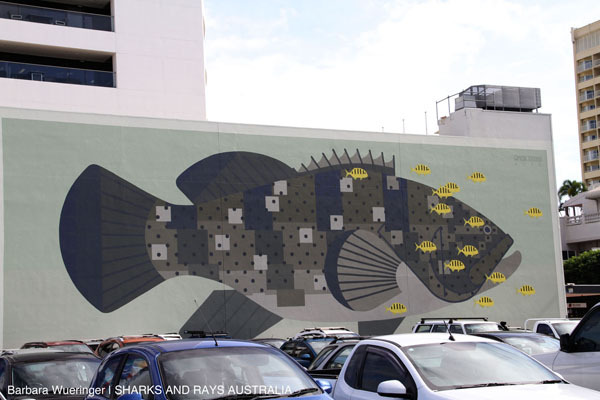 After all, a mural of a sawfish can reach hundreds of thousands of people from around the world, if placed in the right location in Cairns! 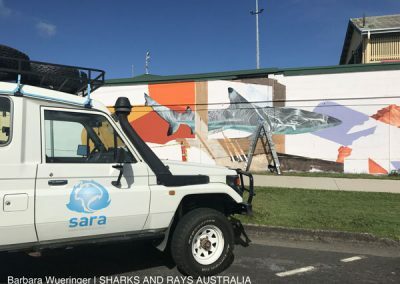 At the beginning of May, I returned early form a field trip in the Northern Gulf of Carpentaria, to join a panel discussion with the artists and founders of Pangea Seed at the Cairns Tanks Arts Centre. 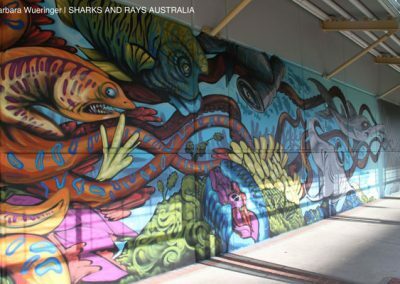 Some of the points raised during this discussion were how art can change people’s perceptions of animals. 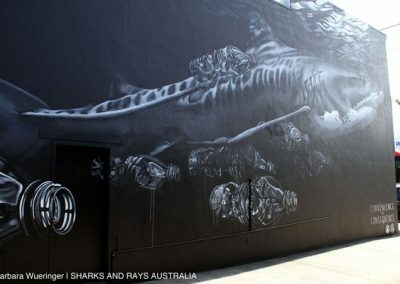 For example, sharks are generally perceived to be dangerous, but a mural of a shark can be perceived to be beautiful, and it is this moment in which the observer’s mind opens, and becomes receptive and curious to the possibility that the long hold perception of the mindless killer might be wrong. 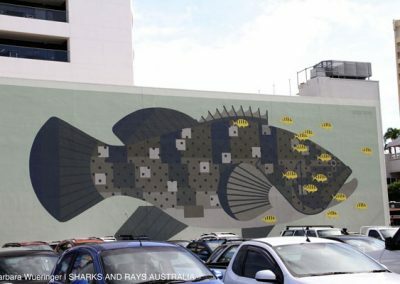 Below you will find the map of murals that were produced across Cairns, I hope you enjoy them for years to come. 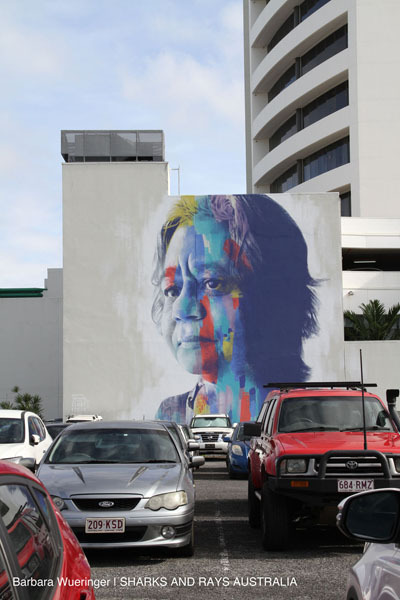 Image of Henrietta Fourmile Marrie from the Yarahbah community. 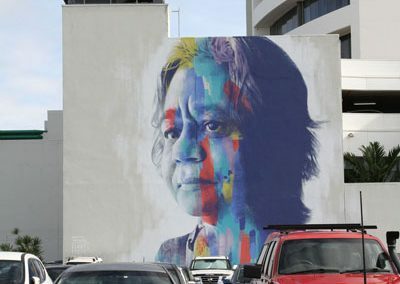 Henrietta was leading a major campaign at the UN to give the rights over Indigenour knowledge back to Indigenous people. 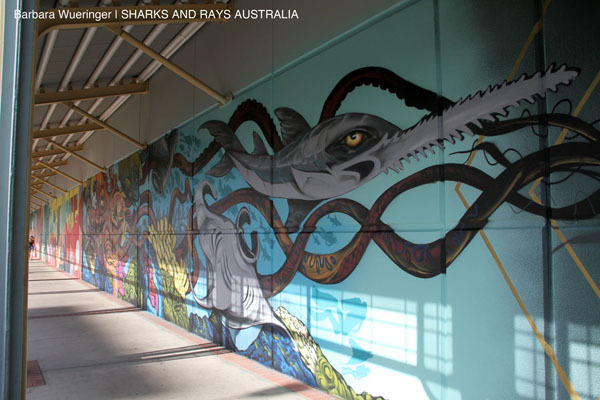 by @caroline_mudge includes a sawfish!